Target Sales will be exhibiting at the Gardners Trade Show on Sunday 10th September at its new venue at Conference Aston, Birmingham. Once again this highly successful trade show, which is run in conjunction with the Independent Booksellers Forum will be a great opportunity to highlight our publisher's key titles in the run up to Christmas. After successful representing Irish publishers for a number of years, Target have added leading Irish publisher The Collins Press to our range of partners. The Collins Press is one of Ireland's leading general publishers of both adult and children's books, covering a huge range of subjects including Irish interest, biography, lifestyle, travel, cycling and walking guides, photography, history, archaeology, natural history, sport,true crime, folklore and mythology and more. Once again Target Sales will be exhibiting at the Gardners Trade Show on Sunday 11th September at the University of Warwick. This highly successful trade show is run in conjunction with the Independent Booksellers Forum and is a great opportunity to highlight our publisher's key titles to retailers from around the country. Target Sales long running partner and leading equestrian publisher Cadmos moves distribution from Central to Orca. Hodder Education has acquired Galore Park, publisher of textbooks, revision guides and past papers for the Common Entrance market. Owner and current m.d. Nick Oulton said: Galore Park has grown rapidly over recent years and is now ready for the next stage in its development, within a larger educational publishing group. Hodder is a natural fit, and I very much look forward to working with Lis Tribe and her team to help take Galore Park to the next level. Target Sales will continue to represent Galore Park until the end of 2013, and during this time will work with the in-house sales team at Hodder to ensure the smooth transition of the business. Robert Ertle m.d. of Target said: It has been a pleasure working with Nick and all his team at Galore Park, and I am very pleased that we have been able to do our small part in helping Galore Park to develop and grow into the first class educational publisher it is today. From the 1st June Target Sales have agreed a distribution arrangement with Orca Book Services. Orca is the largest independent distribution and fulfilment company in the UK book trade. Through this new relationship with Orca, Target Sales can offer its publishing partners the first rate distribution service offered by Orca at highly competitive terms. Orca Book Services has been offering distribution services since 1976, and following its acquisition by Marston Book Services in October 2008, Orca have invested heavily in their warehouse and IT infrastructure further enhancing their first rate service. Target Sales are now representing Northumbria Press and Northumbria University Press to the book trade in the UK and Ireland. This dynamic press has a range of high quality illustrated titles on popular culture, language and history titles, with particular emphasis on the North East of England. Distribution for NP and NUP has now moved to Orca Book Services. Find out what schools want you to know, and importantly, what they don't! 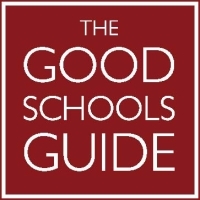 The 25th Anniversary edition of The Good Schools Guide remains the most talked about guide to schools and sells to thousands of parents every year. Fearless and opinionated, The Good Schools Guide gives a completely independent insight into the county's top state and private schools. Find out why parents, who value their child's education, prize this best-selling guide. For the first time The Good Schools Guide have teamed up with Galore Park to co-publish this indispensible guide. Target Sales is attending the 2010 Frankfurt Book Fair between the 6th & 8th October. Frankfurt is the key international book fair and has over 300,000 exhibitors and visitors from over 100 countries. Target will be based in Hall 8, Stand F978. Please contact robert.ertle@targetbooksales.co.uk to arrange a meeting at Frankfurt. Target Sales will be exhibiting at the Gardners Trade Show on Sunday 26th September at the University of Warwick. The trade show is run in conjunction with the Independent Booksellers Forum and is a great opportunity to highlight our publisher's key titles to retailers from all over the country. Stinky! (Gullane Children's Books) and Tortoise Vs Hare (Meadowside Children's Books) have both been selected for the second series of CiTV's Bookaboo.